Share the SWEAT this Holiday Season. Studio SWEAT onDemand Class Downloads are the perfect gift idea for family, friends and co-workers! 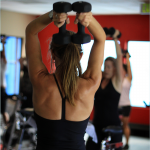 An All Access pass to Studio SWEAT onDemand gives you access to watch our entire library of classes from your computer, tablet, smart phone or Internet capable TV. Get your All Access Pass today! Physical products, such as workout clothes, trucker hats, and more. 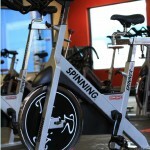 Everything you need to get your Spin® on at home with Studio SWEAT onDemand for as low as $488! You get the Star Trac Spinner® Bike of your choice, an All Access Pass with the Backstage Pass upgrade, and the option to add other cool tools to make the experience even better. The TRX® HOME kit gives you everything you need be part of the Studio SWEAT onDemand TRX® Action! With this kit you can take full advantage of all of the TRX®Spin®, TRX®Sculpt, TReXpress® and TRX®Cardio classes available. 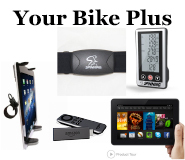 Already have a Bike? Take Your Fitness to the Next Level by adding on one our of Accessory Packs so you can Track Your Heart Rate Zones, Cadence, Calories Burned & More!